Deepblu, the company behind the Diver Social Network of the same name and the Cosmiq+ Dive Computer, have today announced they are allowing divers to now book, manage, and communicate with dive businesses before, during, and after their trip, all in one place via their Planet Deepblu feature. With this release, Deepblu is joining a number of online booking tools available for divers in recent years. On Planet Deepblu, virtually all popular global dive locations are placed on a fully interactive interface, allowing users to browse ratings, navigate reviews, and find out more about dive spots than previously available. Now, dive businesses have this tool at their disposal for free. 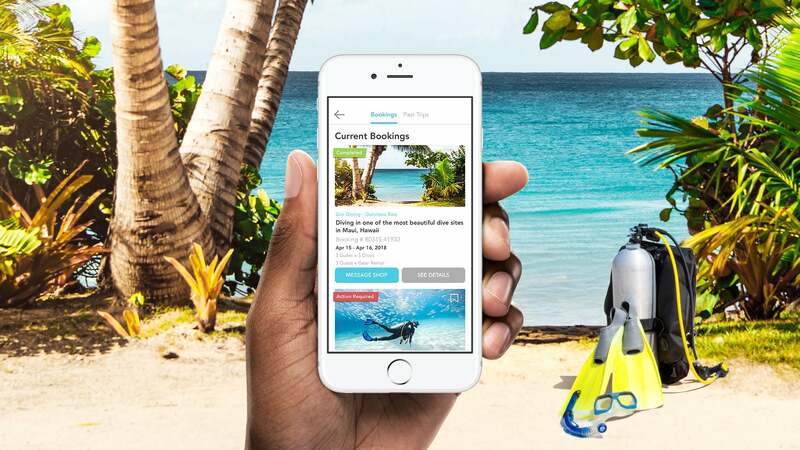 With tens of thousands of divers already having dive sites at their fingertips, Deepblu has pushed the envelope even further, and will now offer fully interactive dive trip planning and communication between diver and businesses on the platform. The new, expanded Planet Deepblu allows divers to select dates, find pricing, set up, and book all in one place. As it has been from the start, divers can locate their favorite dive countries, regions, and spots through the platform, and now when they see businesses in their chosen area they will have easy access to services offered. To find more information, please head to Planet Deepblu.